Who is this bearded man from Abel Beth Maacah? This small head was found at Abel Beth Maacah (also Abel-beth-Maacah, and spelled as one word) during the 2017 archaeological excavations. Announcement was made recently after the artifact was put on display in the Israel Museum. 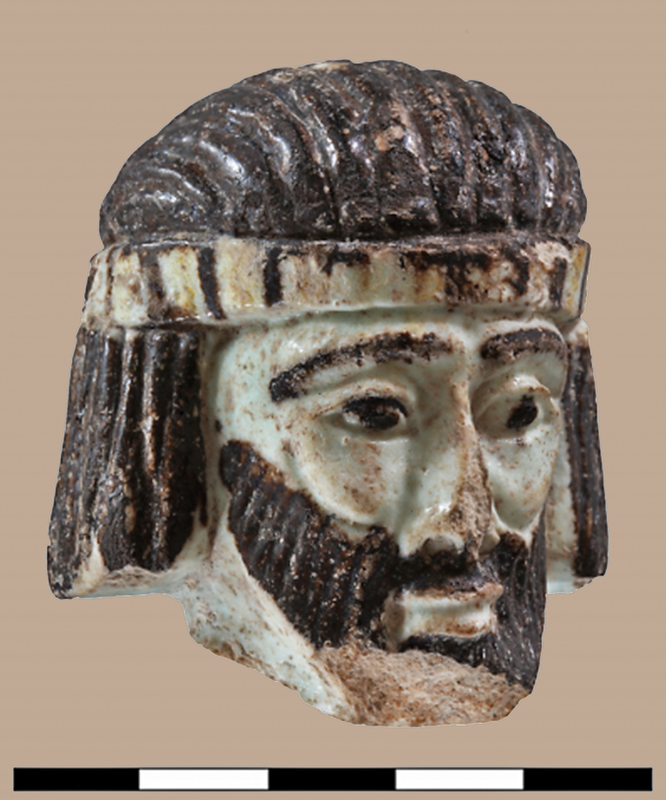 Glazed ceramic head of a king discovered at Abel Beth Maacah in northern Israel. Photo released by Azusa Pacific University. 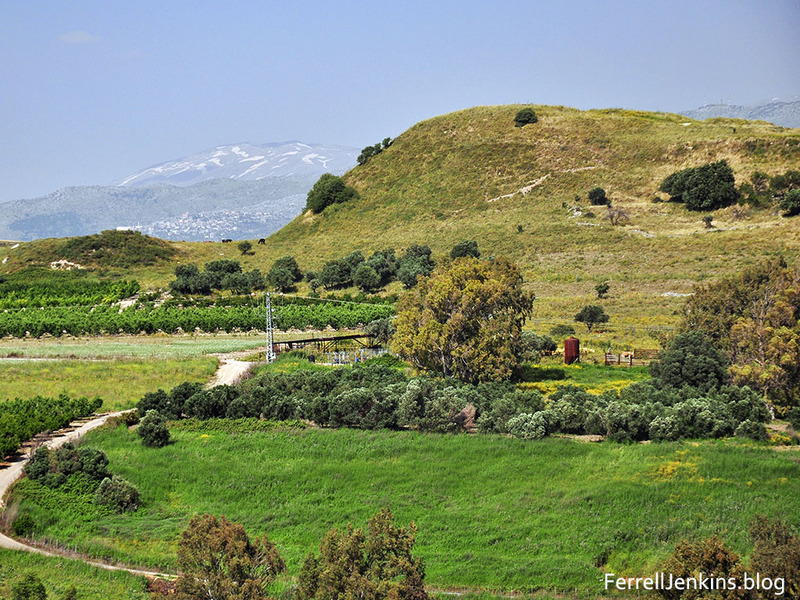 This photo shows the northern end of Abel Beth Maacah with Mount Hermon in the distance across the Beka Valley. Photo by Ferrell Jenkins. The biblical references to Abel Beth Maacah include the following episodes. Realizing that Sheba was a greater threat than Absalom had been, David called on Abishai to take servants (warriors) and capture Sheba. Joab’s men went out from Jerusalem to capture Sheba. This pursuit took Joab’s men all the way to the north of the Israelite territory, to a town named Abel-Beth-Maacah. Some English versions use Abel Beth Maacah, or a similar variant. In modern Israel this archaeological mound is almost on the border with Lebanon between Kiryat Shmona and Metulla. A nice photo of the little head on display in the Israel Museum is included with an article by Ilan Ben Zion in The Times of Israel here.